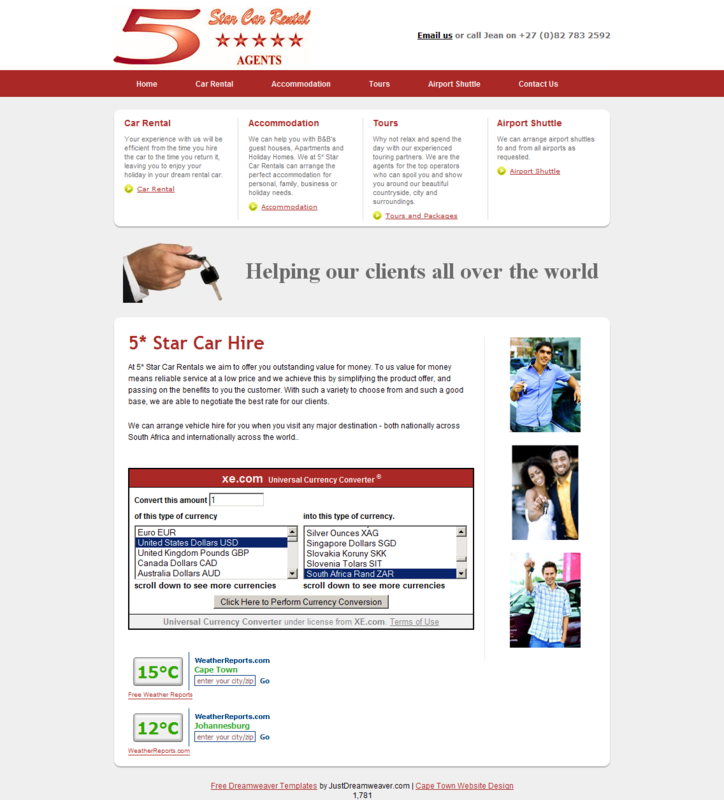 1) The logo and the contact details are at the top of the page. It is very important that the contact details can be seen immediately. Research shows that a very small percentage of visitors ever view below the “fold” of the page, so the most important information must be placed at the top of the page. 2) Immediately beneath that is the menu. The menu must stand out. Your navigation must be clearly visible and consistent across all of your pages. Don’t move the navigation from the top and down to the sides on different pages. Consistency is the key. If your menu has many items, or if it will grow over time, then this is NOT the right design for you. When a menu has many items, place it on the left hand side of the page. Remember to always place it in exactly the same location on all pages. 3) Below that is a feature area. In most of my website designs I have a visual feature, but in this instance I used the feature area to provide short summaries which highlight the 4 main areas of the business. This feature are is NOT displayed on the child pages, it is ONLY used on the front page of the website. 4) Below that is a graphic to break up the intensity of having still more information. 6) Along the side are friendly images which will help visitors feel at ease.